With increasing number of vehicles on the road, it is difficult to find a parking spot. So a lot of people park their vehicles at places not designated for parking. Sometimes, blocking other people’s way. You have to wait for these people to return and move their vehicle. This is very frustrating. 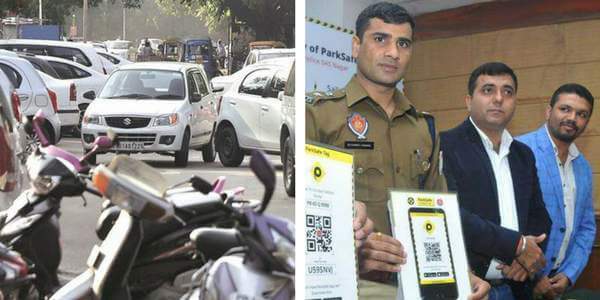 To address this issue, a tech company, Envision Ecommerce has collaborated with State Police in Punjab, India to create a mobile app, Parksafe. The app will be available for residents of two cities of Punjab—Mohali and Chandigarh. The Parksafe app will help people contact the owners of incorrectly parked vehicles. This is done with the help of QR Code stickers. Cars will bear these QR Code stickers on their windshields. When scanned using the Parksafe app, the QR Code leads to a chat window. Here people can get in touch with the car owner. The app runs on a technology called “isolated contact bridge”. The communication solely happens over the app, ensuring vehicle owner’s contact details remain private. Using the Parksafe app, people can also receive real-time updates on traffic. Envision Ecommerce also plans to add a section which will keep users up-to-date on road renovations in the city. The Punjab Police will help provide information for this section of the app. 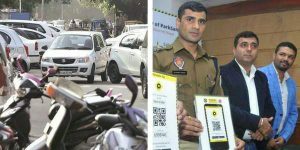 Besides this, the app will have a section dedicated to road safety and rules. Currently, Envision Ecommerce is running campaigns to promote the app in Mohali and Chandigarh. If used well, the app can cut down the inconvenience caused by incorrect parking. Just as Punjab Police, the administrative bodies from across the world are taking steps to make things better for their citizens. What are your views on the Parksafe app? Share your thoughts in the comments section below.